A visionary outlook into the future comes with an extensive to-do list, and with countless plans and projects. We are encountering new possibilities around each corner. Still, it is essential to pause from time to time and look back at past achievements. What milestones have been reached, what struggles overcome? We value a glance back as it offers lessons for our team's future development and an opportunity to take a little pride in what we have achieved so far. You might have followed our story since the beginning or just stumbled across this article without knowing too much about us. Either way we want to show you how a vision can be transformed into actions within a short period of time. Join us for a retrospective in this article and stay tuned for the next one, which will tackle our future plans. With the goal in mind to help traders overview their taxable crypto incomes, the first step was to develop an application for this exact purpose. Only four months after founding Blockpit, our team of five co-founders released Blockpit's beta version in January 2018. The application at that time already included imports from various exchanges. Among them Coinbase, GDAX and Kraken. Yet, building a web application was not sufficient for our CTO Mathias Maier, thus he simultaneously worked on a mobile app for iOS and Android. Not long after launching the beta version, the platform got assessed by Big Four player KPMG. The assessment included a closer look at the technology and tax calculation methods. In both terms, Blockpit passed with flying colours. Subsequently, Blockpit released the download feature for an individual PDF report which can be handed in directly at the tax authority. Banks too accept the report as proof of origin. To further strengthen compliance with governments, we started cooperating with the financial authority in Austria, the BMF (Bundesministerium für Finanzen) in spring 2018. Today, the collaboration is in full swing, creating a bridge between existing financial frameworks and the cryptocurrency space. Apart from our main focus on the web application for crypto tax reporting and portfolio monitoring, we work hard on educating the community on the topic of regulations in the cryptosphere. Most governments have yet to pass definitive legislation on crypto taxes and many countries have unique and complex laws concerning cryptocurrencies. 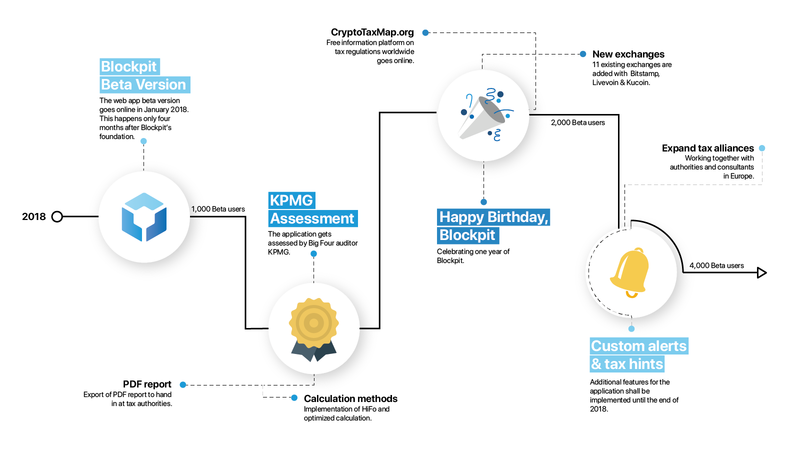 On that account, Blockpit initiated an interactive map for cryptotaxes as a free source of information. The platform provides information on the fiscal treatment of cryptocurrencies in different countries, giving users an overview of the most important facts on taxation in their country of residence. 2018 might soon be over, but we still have plans to put into practice before the new year sneaks around the corner. Currently, our primary focus is on implementing custom alerts and custom tax hints into the platform. 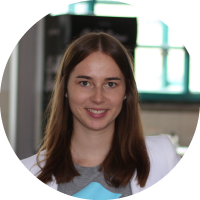 The aim is to support each user individually, helping them obtain optimized tax results. Furthermore, we will expand our tax alliances in Europe to integrate Blockpit functionalities in widely used tax software suites. Our vision is to set a European standard for crypto tax reporting. Consequently, we do have many more plans to be set in motion in 2019. We'll take a deeper look into what the coming years will bring for Blockpit in next week's post, stay tuned!